Scan through a manufacturer's manual – or maybe even the audio device's retail packaging – and you're likely to read a specification called Total Harmonic Distortion (abbreviated as THD). You can find this listed on speakers, headphones, media/MP3 players, amplifiers, preamplifiers, receivers, and more. Basically, if it involves reproducing sound and music, it's going to (should) have this specification available. Total Harmonic Distortion is important when considering equipment, but only to a certain point. The specification for Total Harmonic Distortion is one that compares input and output audio signals, with the difference in stages measured as a percentage. So you might see a THD listed as 0.02 percent with specified conditions of frequency and equivalent voltage in parenthesis after it (e.g. 1 kHz 1 Vrms). There is indeed a bit of math involved to calculate Total Harmonic Distortion, but all one needs to understand is that the percentage represents the harmonic distortion or deviation of the output signal – lower percentages are better. Remember, an output signal is a reproduction and never a perfect copy of the input, especially when multiple components are involved in an audio system. When comparing the two signals on a graph, you might notice the slight differences. Music is made of fundamental and harmonic frequencies. The combination of fundamental and harmonic frequencies gives musical instruments unique timbre and allows the human ear to distinguish between them. For example, a violin playing a middle A note is producing a fundamental frequency of 440 Hz while also reproducing harmonics (multiples of the fundamental frequency) at 880 Hz, 1220 Hz, 1760 Hz, and so on. A cello playing the same middle A note as the violin still sounds like a cello because of its own particular fundamental and harmonic frequencies. Once the Total Harmonic Distortion has increased past a certain point, you can expect the accuracy of sound to be compromised. This happens when unwanted harmonic frequencies – ones not present in the original input signal – are generated and added to the output. So a THD of 0.1 percent would mean that 0.1 percent of the output signal is false and contains unwanted distortion. Such gross alteration can lead to an experience where instruments sound unnatural and not like how they are supposed to. But in reality, Total Harmonic Distortion is hardly perceptible to most human ears, especially since manufacturers create products with THD specifications that are tiny fractions of a percent. If you can't consistently hear half a percent difference, then you're not very likely to notice a THD rating of 0.001 percent (which can be difficult to accurately measure, too). Not only that, but the specification for Total Harmonic Distortion is an average value that doesn't take into account how even- and lower-order harmonics are harder for humans to hear versus their odd- and higher-order counterparts. So music composition also plays a small role. Every component adds some level of distortion, so it is prudent to assess numbers in order to maintain audio output purity. However, the percentage of Total Harmonic Distortion is not as important a specification when looking at the big picture, especially since most values are often less than 0.005 percent. 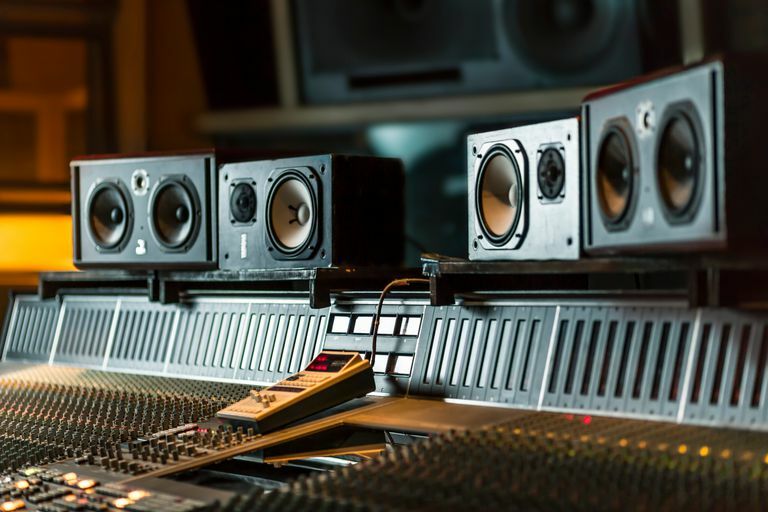 The small differences in THD from one brand of a component to another can be insignificant versus other considerations, such as quality audio sources, room acoustics, and selecting the right speakers, to begin with.